We are happy to announce that Mailfence is available in 6 different languages following the addition of Spanish, Portuguese and Dutch. Thanks to the Mailfence Translation Project, Mailfence can now be used by more than 1.2 billion people in their native tongue! More than 2.3 billion users can use our secure encrypted email in a language they master. The Mailfence translation project is a volunteer initiative that aims to improve online privacy and security by making Mailfence available in most of the major languages. With your help, we will make Mailfence and email privacy accessible to even more people around the world. We plan to extend our localization project in the months to come and intend to continue localizing our application and site in many more languages. If your native language is not included in the table above and you are interested in having Mailfence in your language, you can now sign up as a volunteer in the Mailfence Translation Project. The Translation Project will bring together volunteers from the Mailfence community to assist with this effort. In case you want to contribute to this effort, please contact us via localization [at] mailfence [dot] com and let us know what language you would like to translate. Please also mention whether you have any previous translation experience. As a token of our thanks, all our selected volunteers will be receiving coupons to get paid Mailfence accounts for free. In addition, you’ll also be performing an important contribution to the fight for Online Privacy and Digital Freedom. Privacy is a universal value, and Mailfence users come from all over the world. Supporting many languages is of utmost importance for our mission to fight for online privacy and digital rights. We will contact selected translators in the coming months. 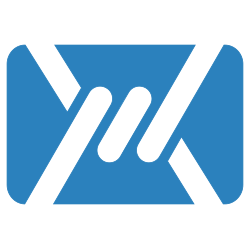 On behalf of Mailfence and the entire community of Mailfence users, we would thank you for your support!